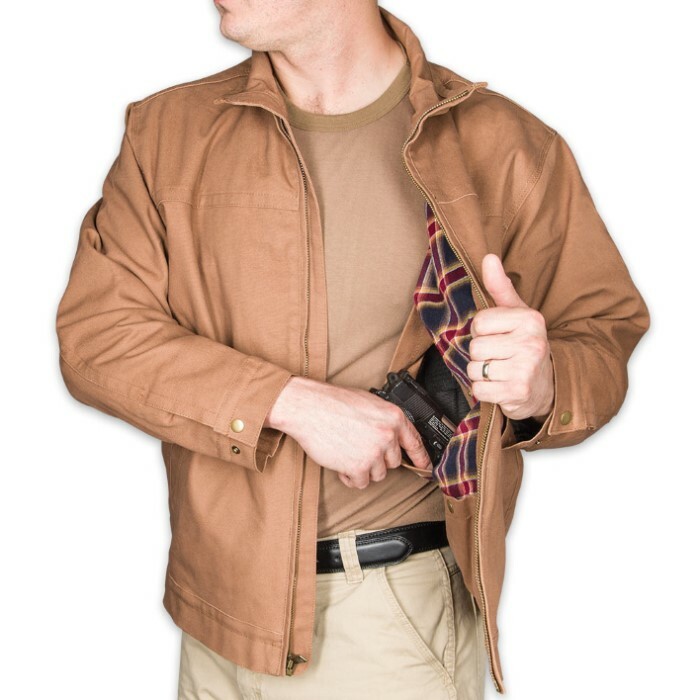 Concealed Carry Khaki Cotton Canvas Ranch Jacket | BUDK.com - Knives & Swords At The Lowest Prices! This Canvas Ranch jacket is a real workhorse, tough and rugged, sure to become your go-to jacket, plus, it has a little something extra. 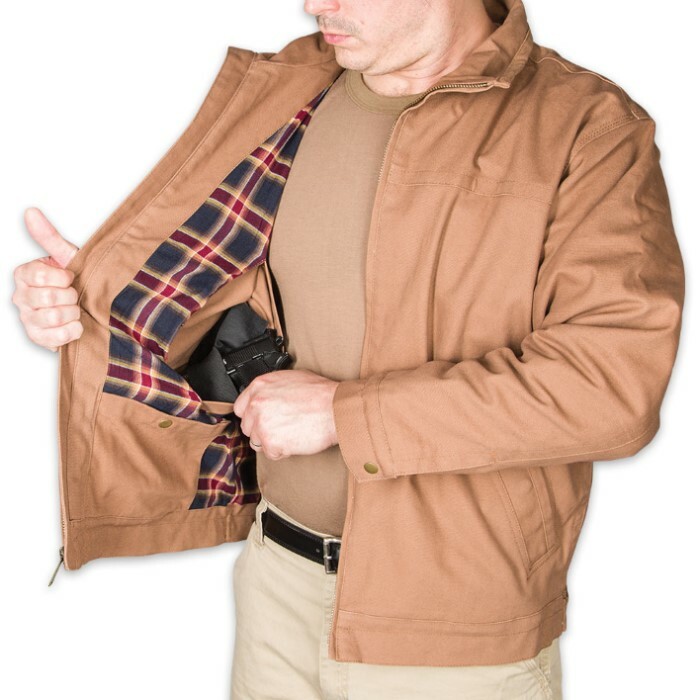 Two discreet internal concealed carry pockets for right or left hand and an adjustable elastic holster that fits small to midsize handguns makes this jacket even better! 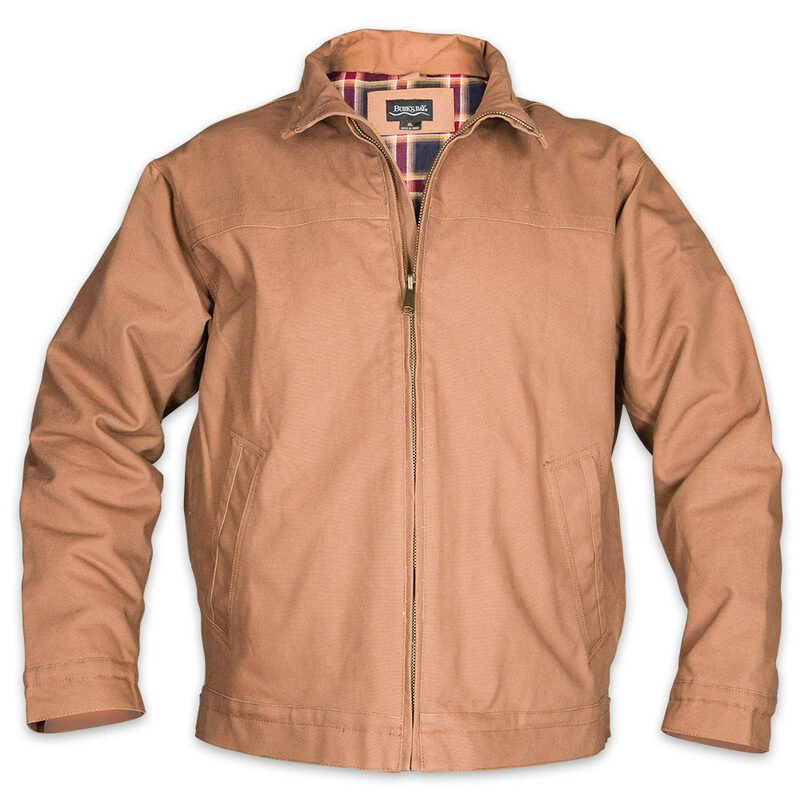 The khaki jacket has a washed cotton canvas shell and a plaid blanket lining in cotton rayon. It features snapped cuffs, two side entry pockets and an adjustable tab waistband. Carry you weapon discreetly close with this great looking khaki jacket!